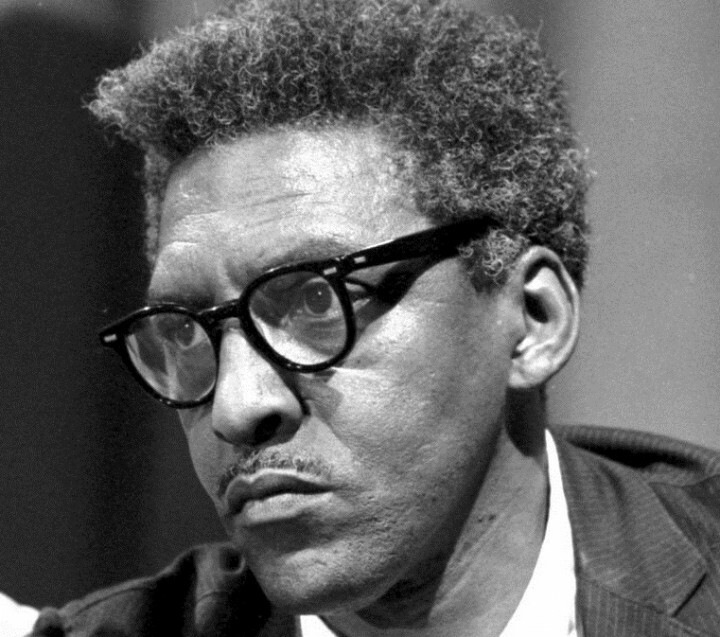 October is Black History Month and we are featuring Bayard Rustin (1912 – 1987), a USA leader in social movements for civil rights, socialism, non-violence and gay rights. Bayard Rustin was a gay man who had been arrested for a homosexual act in 1953. Rustin’s sexuality, or at least his embarrassingly public criminal charge, was criticized by some fellow pacifists and civil-rights leaders. From the 1950s through to the 1970s he was attacked as a “pervert” or “immoral influence” by political opponents from segregationists to Black power militants. In addition, his pre-1941 Communist Party affiliation when he was a young man was controversial. To avoid such attacks, Rustin served only rarely as a public spokesperson; nevertheless he was an influential adviser to Martin Luther King Jr and a key strategist behind the 1963 civil rights march on Washington. In the 1970s he became a public advocate on behalf of gay and lesbian causes. On 20 November 2013 President Barack Obama posthumously awarded Rustin the Presidential Medal of Freedom, the USA’s highest civilian honour. The International Business Times also has a feature on Rustin.